Your online source for information about your Consumer Accounts Benefits Plan. 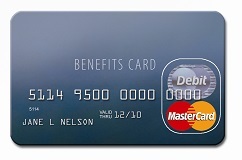 With our web portal you will be able to access account balances, obtain forms, and request a replacement debit card. In order to support the highest possible security, we require that you use only browsers that support 128-bit SSL encryption. If you encounter any problems accessing your online account at our WealthCare Portal, please contact our Consumer Accounts Department at 919-877-9933 (ext. 5052) or 800-426-8739 (ext. 5052).